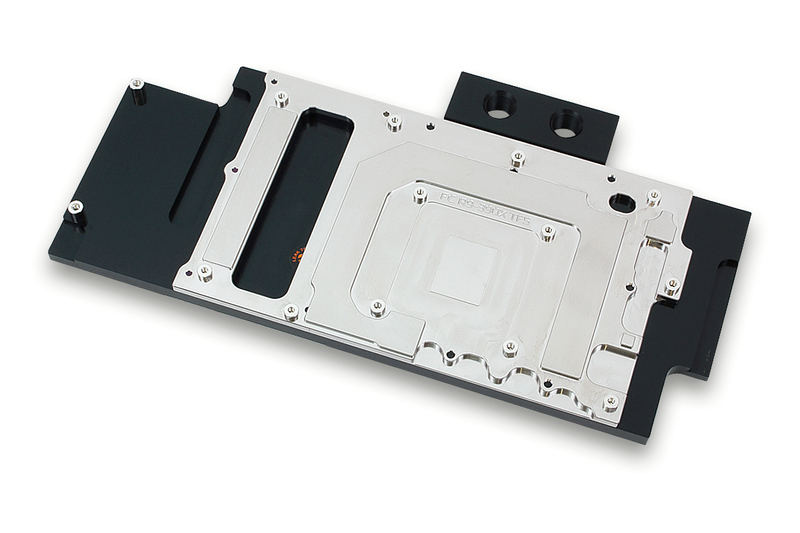 EK Water Blocks, Ljubljana based premium computer liquid cooling gear manufacturer, is releasing a new Full-Cover water block, designed and engineered specifically for MSI® RADEON™ R9 390X GAMING 8G graphics card – the EK-FC R9-390X TF5. 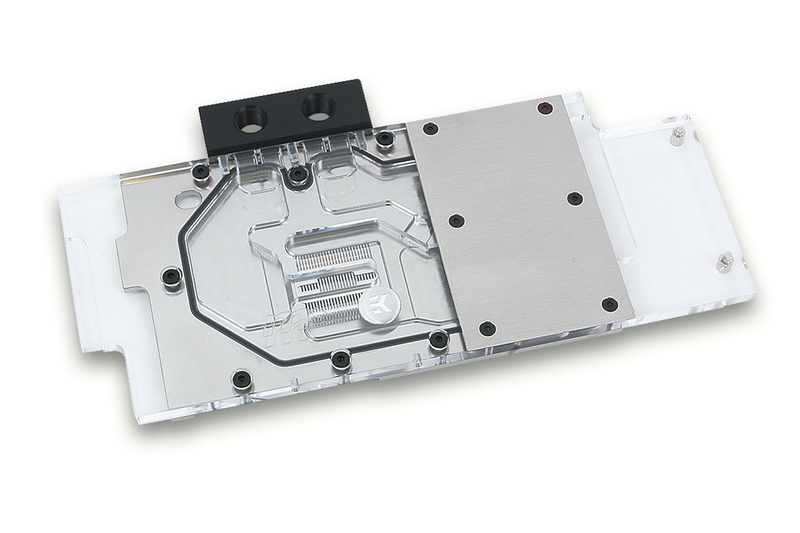 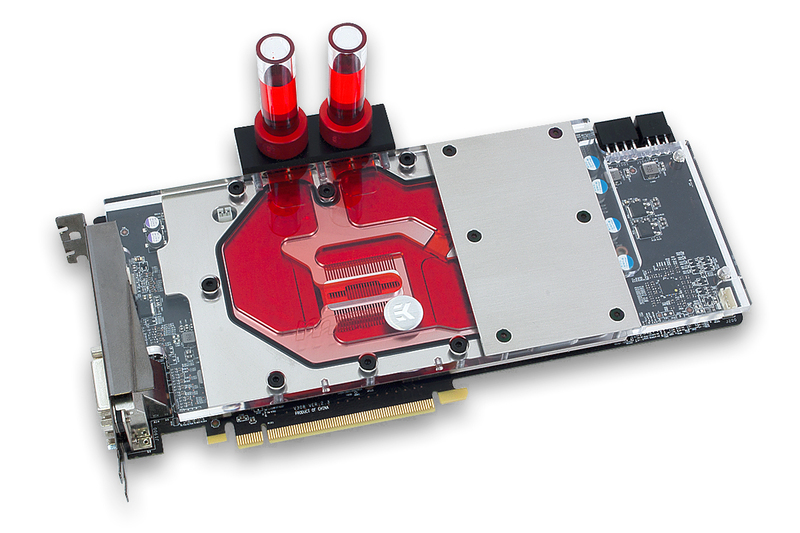 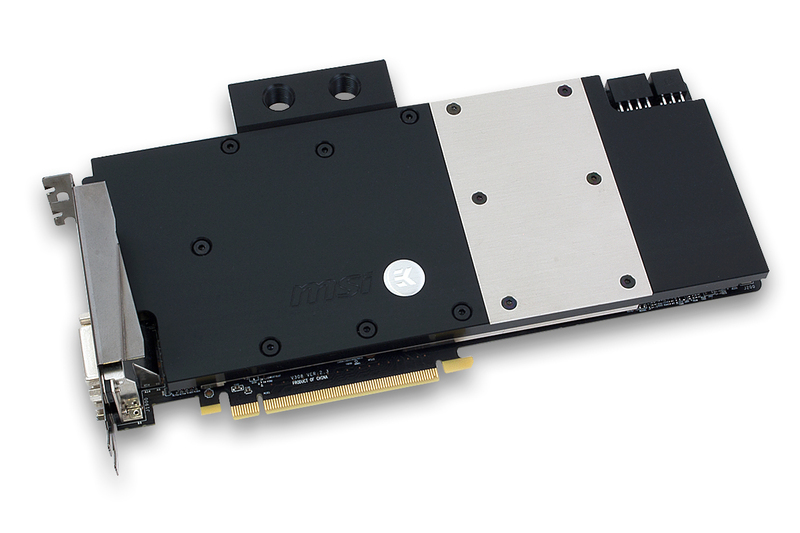 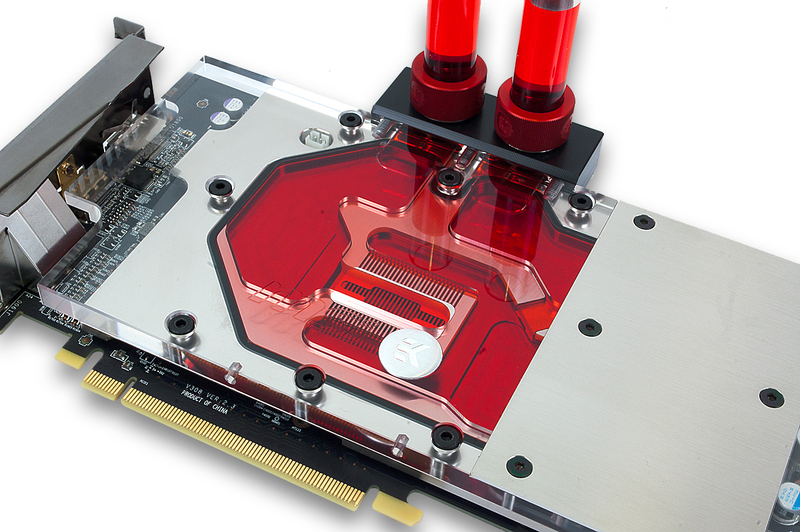 EK-FC R9-390X TF5 is a high-performance Full-Cover water block, intended to replace the original TwinFrozr V cooler that comes with the graphics card out-of-the-box. The EK-FC R9-390X TF5 actively cools the GPU, RAM as well as VRM (voltage regulation module) as water flows directly over these critical areas, thus allowing the graphics card and it’s VRM to remain stable under high overclocks. 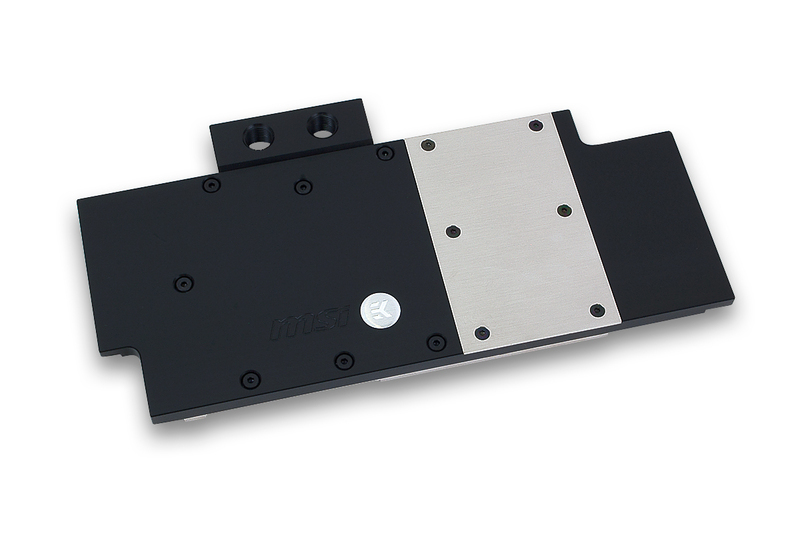 EK-FC R9-390X TF5 water block features EK unique central inlet split-flow cooling engine design for best possible cooling performance, which also works flawlessly with the reversed water flow without adversely affecting the cooling performance. Moreover, such design offers great hydraulic performance, allowing this product to be used in liquid cooling systems using weaker water pumps. 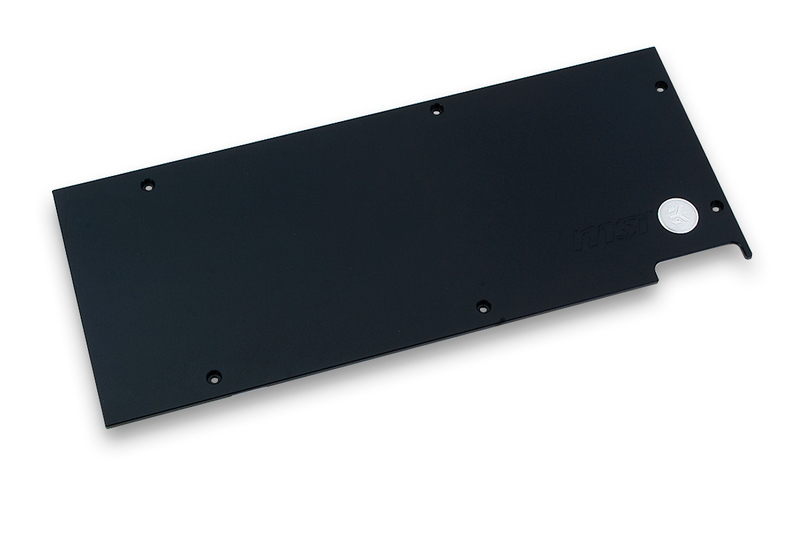 An aesthetic retention backplate made of black anodized aluminum, which also cools the backside of the circuit board (namely around VRM area), is also available for purchase.